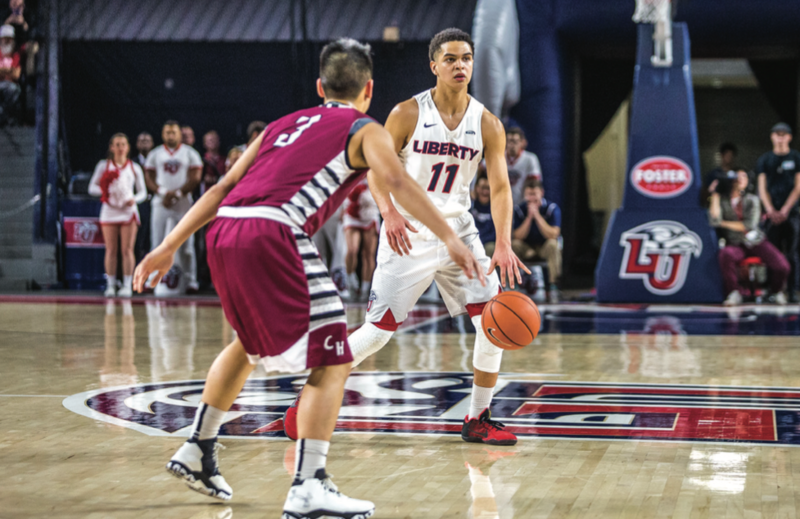 In a season in which Liberty’s men’s basketball team is made up of seven newcomers, freshman guard Georgie Pacheco-Ortiz has been a standout for the Flames. 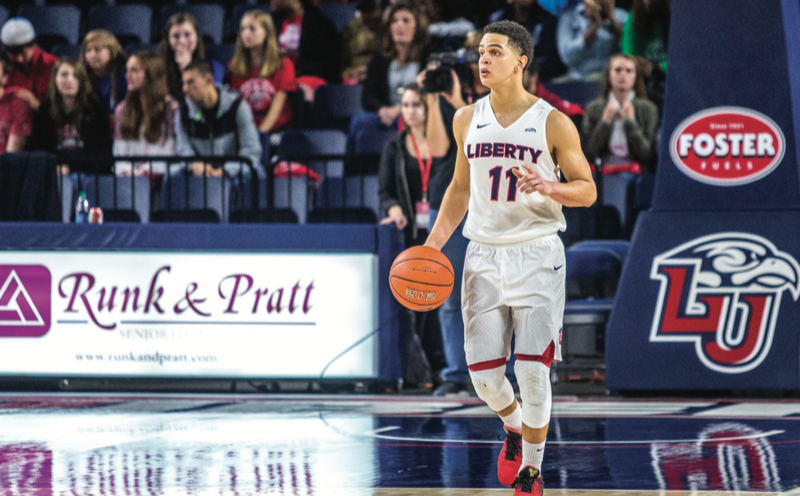 Pacheco-Ortiz, a sports management major from Ponce, Puerto Rico, has started in six of Liberty’s first eight games. Pacheco-Ortiz has played more than 20 minutes in every game of the season and leads the team in total minutes played with 228, according to libertyflames.com. Pacheco-Ortiz said he has fought for the playing time he has received so far and hopes to keep improving as the season continues. Pacheco-Ortiz said the transition of playing in the United States was challenging at first. Pacheco-Ortiz also gained experience as a member of Puerto Rico’s national team for the Americas Championship tournament in 2013, 2014 and 2016. In July, Pacheco competed with Puerto Rico in the U18 Americas Championship, averaging nine points a game and leading the team in assists. Puerto Rico finished fourth in the tournament. Pacheco-Ortiz said those tournaments were helpful because he played against tough competition. That patient, poised and under-control style has been on display in the Vines Center this season. Pacheco-Ortiz brings a versatility to the Flames which allows him to pass the ball to set up shots for teammates and lets his scoring come naturally in the flow of the offense. Pacheco-Ortiz said that watching college basketball from a young age gave him the dream of one day having the opportunity to play in the NCAA Tournament. Pacheco-Ortiz’s basketball game is not the only thing that has improved since coming to Liberty. Pacheco-Ortiz said that his faith and relationship with God have grown so much since coming to Liberty. Pacheco-Ortiz said that this specific moment made him stop and think about the way God had provided for him in his life. Pacheco-Ortiz and the Flames continue the season with a matchup against Furman University Tuesday, Dec.6 at 7 p.m. in the Vines Center.